Inspired by proposed designs for the Union Flag of Great Britain in 1604. 19th Carrefour Europeen de Patchwork, France, 2013. ​Designs for the Union Flag of Great Britain is a water colour painted in 1604 and now kept at the National Library of Scotland in Edinburgh. 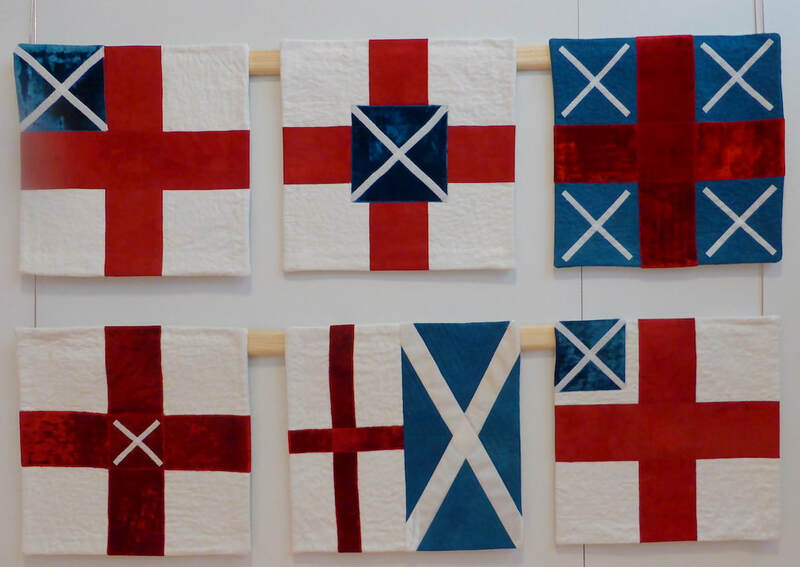 This series of six small quilts represent the design ideas for a national flag to unite the Scottish and English nations .